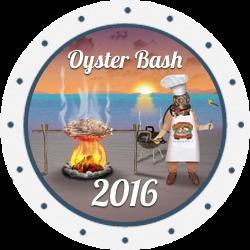 The Man in the Sea Museum's 2016 Oyster Bash at the Dive Lab in Panama City Beach is right around the corner! Once again they have teamed up with Shuckums Oyster Pub to put on a great event for the entire family! Come out and enjoy all you can eat raw and steamed oysters, hamburgers, and hot dogs - all for only $25.00! Come out to support this worthwhile cause for the local community. The Man in the Sea Museum is the perfect place to discover the history of diving as you enjoy delicious oysters from the Gulf Coast. You can climb through a submarine, learn about different diving helmets used throughout history, see SEALAB ONE, and much more. There is also a large collection of rare diving equipment highlighting man's success in underwater exploration. Most are unaware of the history of SEALAB ONE and how much of a part of Bay County's History lies within its steel hull; in fact, SEALAB ONE had a tremendous impact on Bay County, and also on the entire diving industry all around the world.